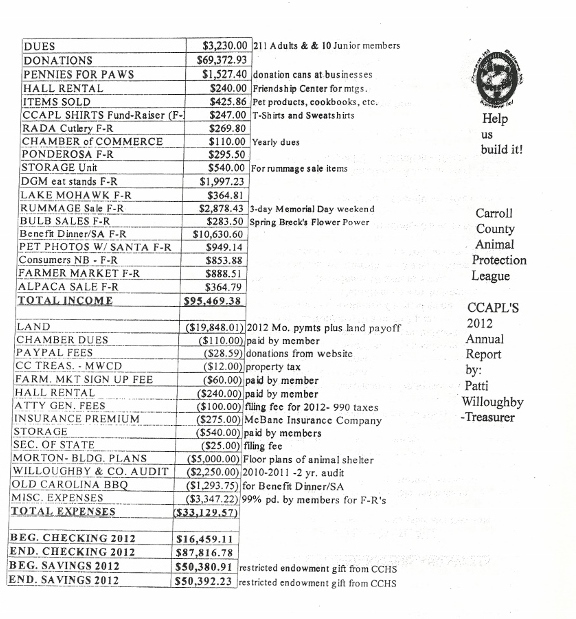 December 31, 2010 - Ending balance in Checking and savings accounts: $64,979.59. 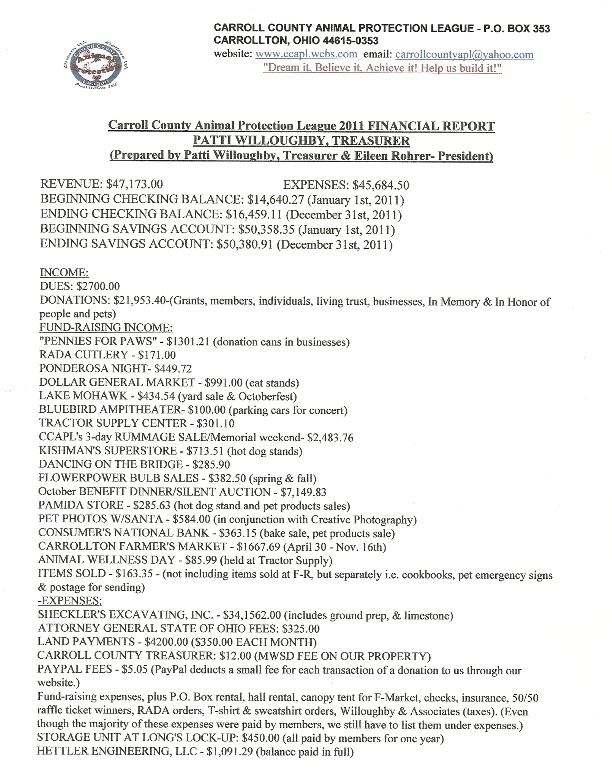 Total expenditures for 2010: $27,850.84. 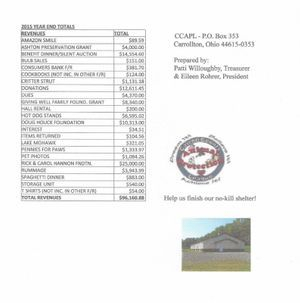 Earnings in Shelter Fund 2008- Numbers include income minus (expenses) in each catagory. 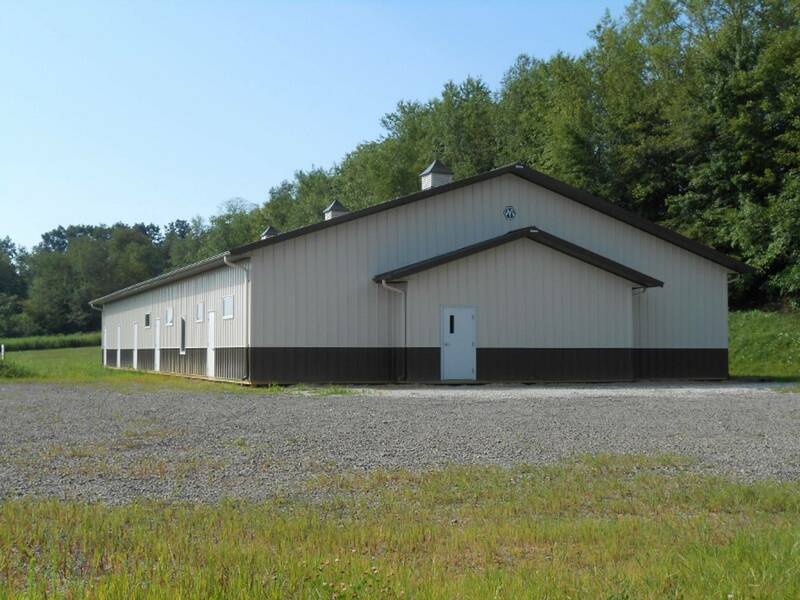 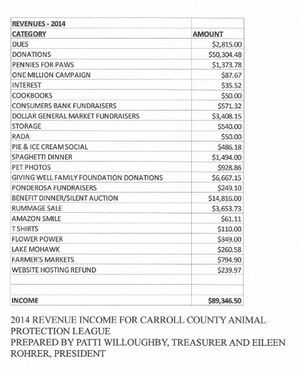 Revised 2007 Fiscal Financial Report of the Carroll County Animal Protection League - 501 (c) (3) non-profit organization. 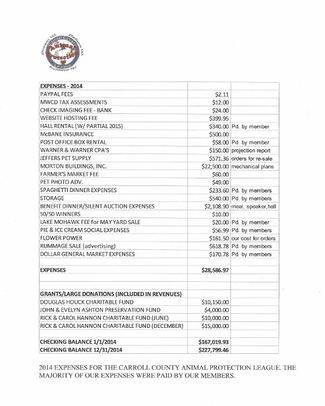 Note: The majority of above expenses were covered by members: All hall rental for meetings and the bazaar, Post Office Box rental fee, Oxygen masks, and 80% of the postage used for newsletters and correspondence letters, and thank you notes sent. 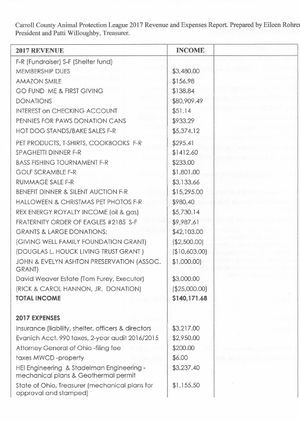 Plus, members also paid for expenses for different fund-raisers we had throughout the year of 2007 for a combined total of: $2,193.38. 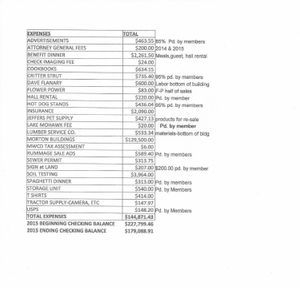 We had to show the expenses we paid by check, whether they were covered by members or not on the financial statement. 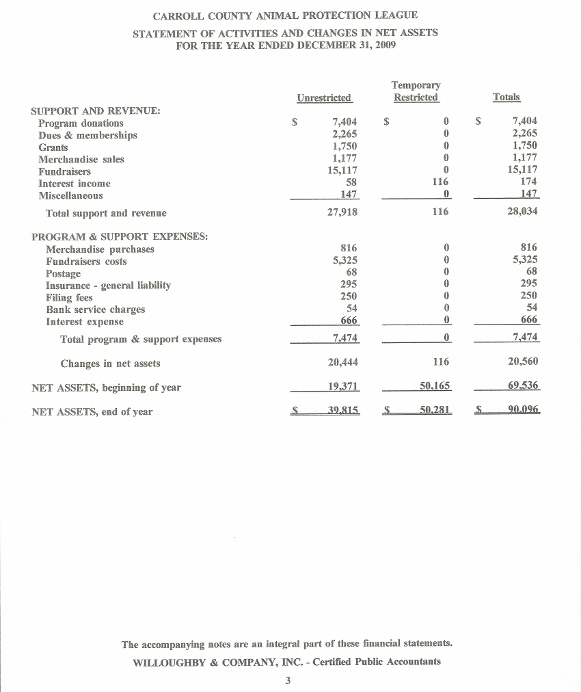 Any questions concerning this revised financial statement, let us know.